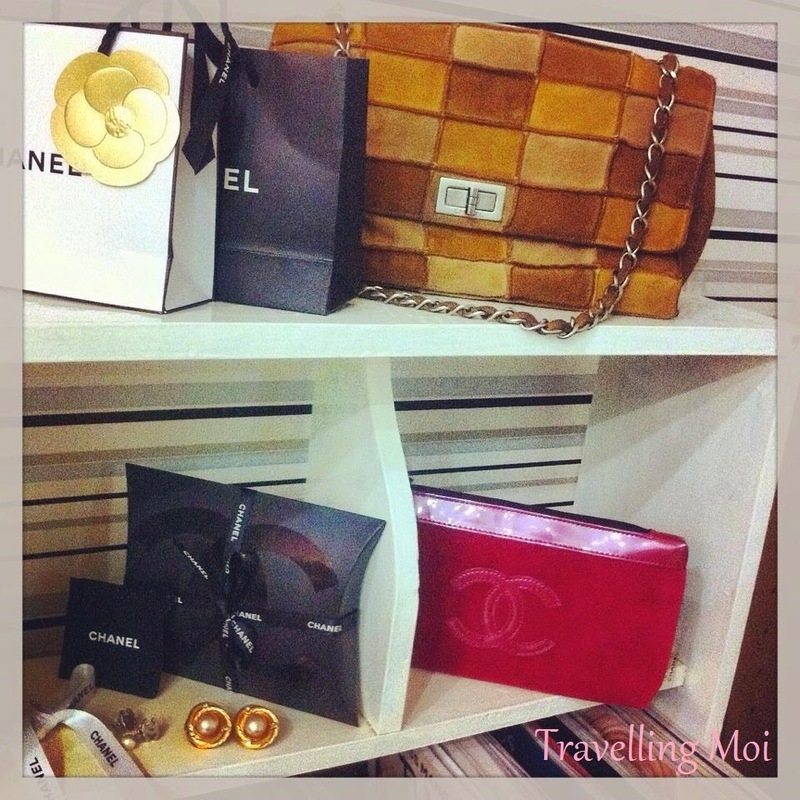 Travelling Moi: My Chanel Collection! Ever since I was a kid, I have already heard about the Luxury brand CHANEL. I knew about it because my mother uses Chanel No.5 perfume, Chanel make-up and has a gorgeous red Chanel bag with the famous CC logo. I could still remember sneaking into her bedroom and tried one of her Chanel lipsticks. I became interested with fashion and style during my University years. I used to save my allowance to be able to buy stylish clothes and of course, I also borrow designer bags from my mother. At that time, I still can't afford to buy designer brands so I go to second hand shops/flea market hunting for high-end designer clothes like Ralph Lauren, Oscar de la Renta, Versace, Emanuel Ungaro, DKNY, Calvin Klein, Morgan de toi, etc. But my love for designer brands started when I was working as a flight attendant. My first designer purchase was a Louis Vuitton monogram neverfull MM. It has been with me for almost 7 years and I'm still happy using it. But I guess my most expensive purchase was a Bvlgari 18K white-gold earrings from a fellow flight attendant who used to work at the legal department of a big jewelry company in the Philippines. And the rest is history. Lately, I have been really into vintage Chanel. It's not because it's a luxury brand or it's expensive but I just find Chanel very classy and elegant. I also adore Coco Chanel's style and I love the vintage Chanel designs. So as a beginner, here are my few Chanel make-up collection and some vintage pieces. Most of my Chanel Make-up were bought at Galleries Lafayette in Paris. The CC pearl drop earrings was purchased in Chanel Singapore and the vintage gold earrings with pearl was bought online. Right now, I'm just crazy searching for the beautiful vintage Chanel bags and accessories from the 80's and 90's. Hope my collection will grow quickly. LOL!